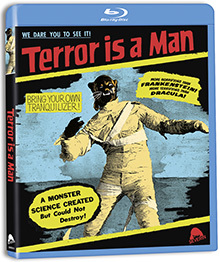 Severin Films Presents TERROR IS A MAN - The Original BLOOD ISLAND Shocker Scanned Uncut In 4k For The First Time Ever! 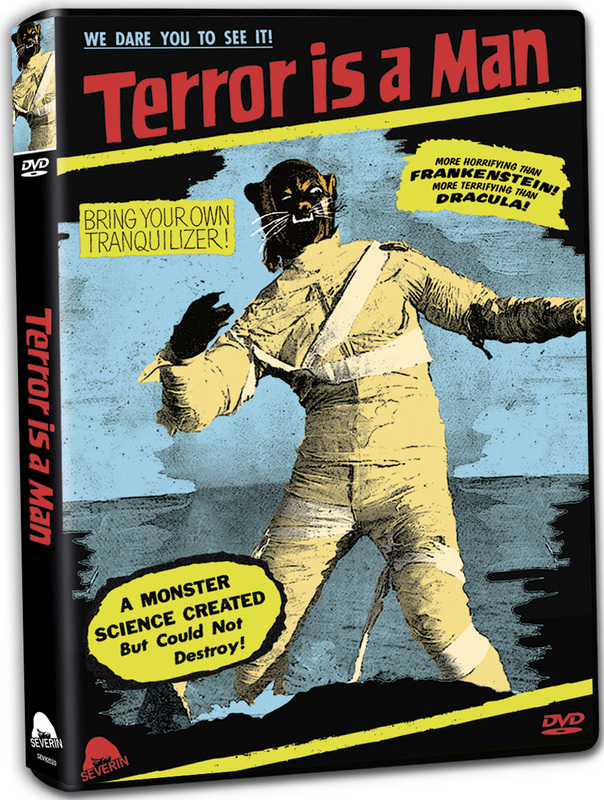 In 1959, American producer Kane Lynn teamed with Filipino filmmakers Eddie Romero and Gerardo de Leon to make a grisly thriller billed as "a unique experience in motion picture terror!" Its global success would soon transform the Philippines' movie industry, launch the legendary BLOOD ISLAND series, and change the face of drive-in/grindhouse horror forever. Francis Lederer (RETURN OF DRACULA), Richard Derr (WHEN WORLDS COLLIDE) and former Miss Denmark Greta Thyssen (JOURNEY TO THE SEVENTH PLANET) star in this "quite terrifying" (The New York Times) take on H.G. 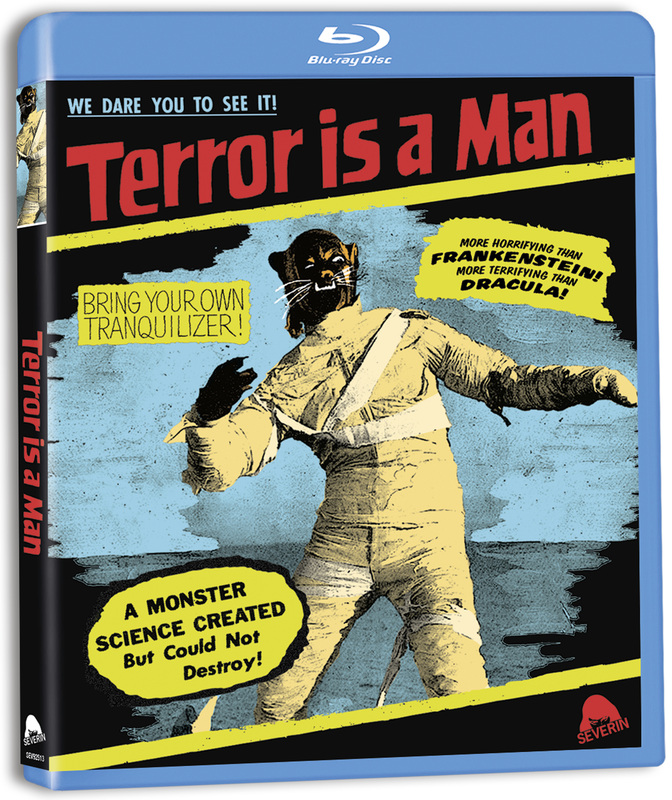 Wells' Island Of Dr. Moreau - also known as BLOOD CREATURE - now featuring a new 4k scan from a fine-grain print recently discovered at the UCLA Film Archive and presented totally uncut, including its "bell system for the squeamish and faint-hearted!" - Man Becomes Creature: Interview with Hemisphere Marketing Consultant Samuel M. Sherman. - Dawn of Blood Island: Interview with Co-Director Eddie Romero. - Terror Creature: Interview with Pete Tombs, Co-Author of "Immoral Tales." - When The Bell Rings: Interview with Critic Mark Holcomb. - Poster & Still Gallery.